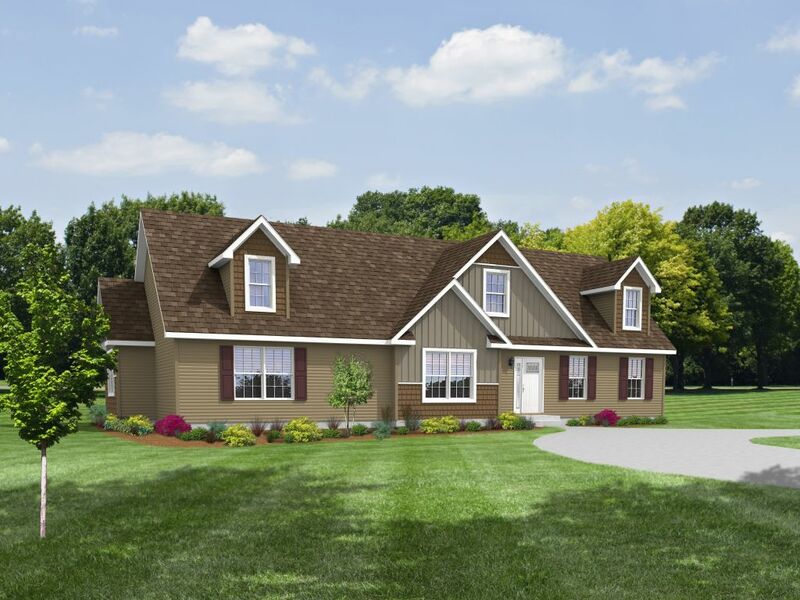 The Manorwood series of home is a collection of homes that covers the entire spectrum of homebuilding. Small to large, standard to custom our team can build the home for you! 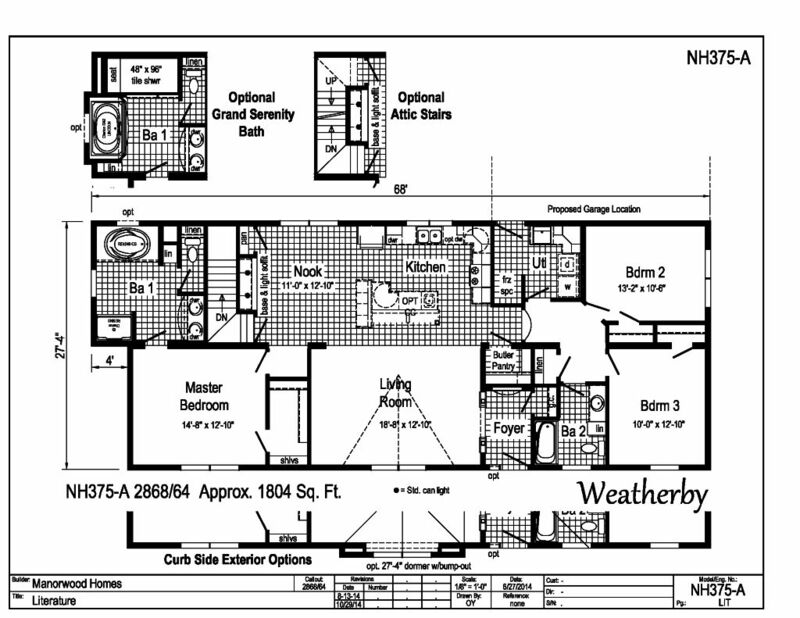 Our Weatherby is an 1804 square foot ranch prepared to go on a basement. A formal foyer entry way greets you as you enter into the large living room. The living room is offers great sight lines into the kitchen and nook area, a nice open concept plan. The open concept kitchen features a very nice optional island that completes the space. The kitchen has great layout with double windows over the kitchen sink to let the light into the space. A butler pantry is off the kitchen giving you ample storage space for your kitchen. The eat-in nook has a great hutch area and a nice storage pantry as well as the entrance to the basement stairs. The bedrooms in this home are separated by the living space with the master bedroom off the nook area. The master features a nice walk-in closet and an attached master bathroom. The master bathroom has some great standard features as well as some great upgrade options! Soaking tub, walk in fiberglass shower, double sink vanity area, and closed off toilet area, are just the standards – check out the upgrades available! Especially the Grand Serenity bath option! The secondary bedrooms are off the hall at the other side of the home. This home has some great features and it could be yours! 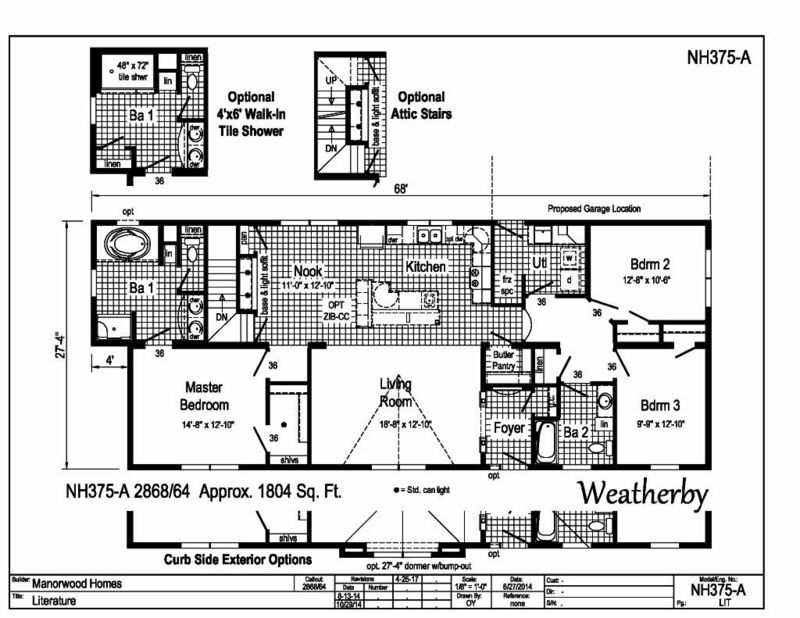 Check out all the details on Weatherby!